SINGAPORE/LONDON – 6th June 2018 –Solgari, the global provider of compliant, integrated omni-channel cloud communications services and IBIZ Consulting Services, a leading global Microsoft Dynamics 365 partner, today announced their partnership to bring Solgari services to multiple Microsoft customers in Asia Pacific on the road to digital transformation. As a Microsoft ISV, Solgari partners with the major global Dynamics 365 partners who are developing customer solutions on Microsoft’s industry leading cloud products. IBIZ Consulting Services has a presence and tremendous track record across the key markets in Asia Pacific and multiple customers in industry verticals such as Financial Services & Retail who are embracing cloud services to create a competitive advantage. The use of modern communication channels by consumers across Asia Pacific, such as chat and video, challenges companies to develop digital solutions that allow consumers choose whatever communication channel they prefer. 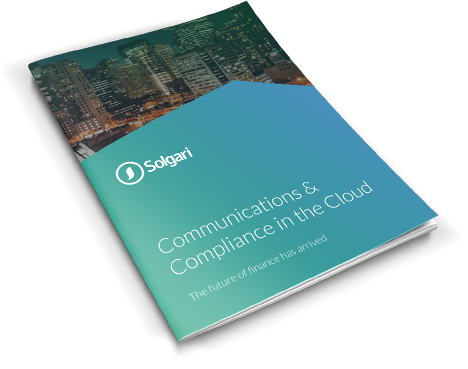 The integration between Dynamics 365 and Solgari offers these companies a solution that offers all the end to end digital communications, compliance, business intelligence and big data needs in the cloud. As the adoption of Dynamics 365 continues to grow at over 75% quarter on quarter, unique applications such as Solgari add high value add to those customers committed to creating competitive advantages on Microsoft’s cloud. Handle all inbound and outbound communications globally – voice, WebRTC video, SMS and chat. Lower customer sales & support costs through efficient inbound identification regardless of customer communications channel, self service and voice verification. Record & archive all communication channels, search & retrieve and then analyse including the capability to word and phrase search within audio. Local numbers available globally, tier 1 quality voice and video communications. IBIZ Consulting Services is a leading consulting firm that specializes in delivering Microsoft Dynamics business management solutions to help businesses stimulate sustainability and growth. We support your business expansion and create competitive advantage through the enablement of IT productivity tools. As a leading Microsoft Dynamics partner in Asia, we have decade of experiences in business consultancy, solution design and implementation services for Microsoft Dynamics ERP, CRM, Portal, BI and Mobility.